CAMBRIDGE, Mass. (AP) — Harvard and Yale were both undefeated in 1968 heading into what was already almost a century-old rivalry, so that year's edition of The Game was destined to be remembered on both campuses no matter how it ended. Harvard rallied from a 22-0 deficit, scoring 16 points in the final 42 seconds for a result the school newspaper commemorated with the headline: "Harvard Beats Yale 29-29." JEFFERSON CITY, Mo. 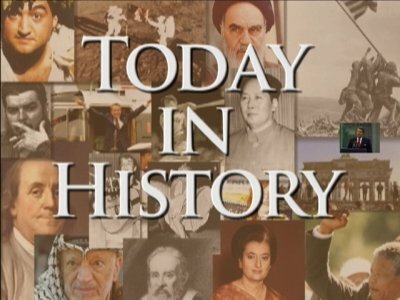 (AP) — A panel of former judges is considering the Missouri death penalty case of Marcellus Williams and whether Gov. Mike Parson should spare his life. The board met Wednesday in Jefferson City and heard from attorneys on both sides. Williams' son, the Missouri NAACP president and other supporters gathered outside. Innocence Project Co-Founder Barry Scheck, who was one of O.J. Simpson's defense attorneys, also attended. NEW YORK (AP) — A prosecutor at the bribery retrial of a once-powerful New York union boss slipped about $20,000 in cash into a luxury bag to show that it easily fit as he made his closing argument Monday. "There is still an ocean of room in that bag," Assistant U.S. Attorney Martin Bell told jurors as he showed them the inside of the Ferragamo bag while asserting there was plenty of room for the $60,000 that the government alleges Norman Seabrook accepted. LOS ANGELES (AP) — Sue Manning, an editor in the Los Angeles bureau of The Associated Press who for decades coordinated coverage of some of the nation's biggest news including the Los Angeles riots, the Northridge earthquake, the death of Michael Jackson and the O.J. Simpson saga, has died, her family said Monday. She was 71. Johnnie L. Cochran Jr. has been dead since 2005, but his face looms large over Philadelphia neighborhoods thanks to billboards advertising the law firm he founded 40 years ago. The threat of pogroms and conscription into the 1904-05 Russo-Japanese War led Mayor Eric Garcetti's Jewish great-grandfather to head to America. Another great-grandfather married a Mexican woman who, fleeing revolutionary ferment there, came to America. Which is why Garcetti, a fourth-generation resident of the world's most polyglot city, is as American as the kosher burritos available here. NEW YORK (AP) — The revamped "American Idol" had a strong debut on ABC, reaching more than 10 million viewers and shrugging off Fox's attempt to blunt the premiere's impact with its special on O.J. Simpson. NEW YORK (AP) — Fox TV is offering viewers a chance to go "inside" O.J. Simpson's head when it airs a previously unseen 2006 interview in which he theorizes about what happened the night his ex-wife was murdered. Airing Sunday, "O.J. Simpson: The Lost Confession?" will include the ex-football star's fictionalized "confession" to the 1994 murder of ex-wife Nicole Brown Simpson and her friend, Ronald Goldman. Will this ever be over? Just when it appeared that every avenue regarding O.J. Simpson and the murder of his ex-wife Nicole Brown Simpson, along with her friend, Ron Goldman, had been exhausted — TV movies, documentaries, re-enactments, panel discussions, as well as "lost" evidence and confessions emerging from various vaults and archives — Fox presents "O.J. Simpson: The Lost Confession," airing Sunday, March 11 at 8 p.m.
LOS ANGELES -- It was dicey being Jewish in a Russia that was tolerant of pogroms, and then came the threat of conscription into the 1904-05 Russo-Japanese War, so one of Mayor Eric Garcetti's great-grandfathers headed West to America. Another Garcetti great-grandfather married a Mexican woman who, fleeing revolutionary ferment there, headed north to America. Which is why Garcetti, a fourth-generation resident of the world's most polyglot city, is as American as a kosher burrito, a delicacy available at Mexikosher on Pico Boulevard. LOS ANGELES — It was dicey being Jewish in a Russia that was tolerant of pogroms, and then came the threat of conscription into the 1904-05 Russo-Japanese War, so one of Mayor Eric Garcetti's great-grandfathers headed West to America. "Borat" creator Sacha Baron Cohen paid O.J. Simpson $20,000 to appear in his new comedic film, according to a report by The Mail on Sunday. Citing a source "close to the production," The Mail reported that Mr. Cohen recently donned a curly dark wig and black, thick-rimmed glasses to meet Mr. Simpson in a Las Vegas hotel room. They say truth is stranger than fiction — and that certainly is the case in "I, Tonya," the story of Tonya Harding and her alleged attack on fellow figure skating competitor Nancy Kerrigan. SANTA MONICA, Calif. (AP) — O.J. Simpson dodged an effort Tuesday to force him to turn over cash he pockets from signing autographs to satisfy a $70 million-plus civil judgment for the 1994 killings of the former football star's ex-wife Nicole Brown Simpson and her friend Ron Goldman. 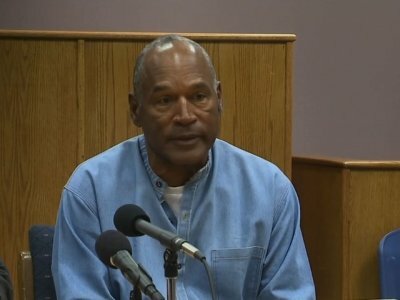 A judge in Los Angeles has rejected a request to have O.J. Simpson sign over profits from autographs to satisfy a civil judgment for the deaths of Ron Goldman and Simpson's ex-wife Nicole Brown Simpson. Bipartisan team of lawmakers expected to request audit of bullet train project after projected cost of one segment rose by nearly $3 billion. LAS VEGAS (AP) — O.J. Simpson is not planning to move from Nevada to Florida like he told state parole officials before he was released in October from Nevada state prison, his Las Vegas lawyer said Thursday. The 70-year-old former football hero, acquitted murder defendant and armed robbery inmate has not filed paperwork with parole officials to move to a different state, attorney Malcolm LaVergne said. NEW YORK (AP) — Jeffrey Toobin's next book will be a probe into Donald Trump's election. The author and CNN commentator will write about alleged collusion between Trump's campaign and Russia and the investigations by Congress and special prosecutor Robert Mueller. Doubleday announced Tuesday that the book was currently untitled and no release date has been set. 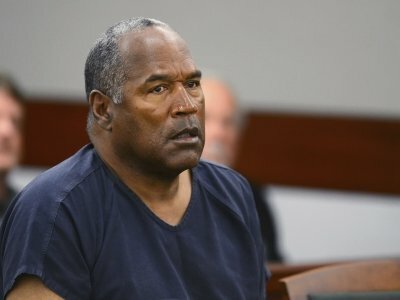 LAS VEGAS (AP) — O.J. Simpson's attorney says the former football star has been banned from The Cosmopolitan hotel-casino in Las Vegas. The '90s on Maple secret cinema film series with Detroit News film critic Adam Graham continues Monday, Nov. 27 with the year 1995. It was the year that Coolio's "Gangsta's Paradise" was at the top of the charts, O.J. Simpson was found not guilty of murder and the San Francisco 49ers beat the San Diego Chargers in the Super Bowl. LAS VEGAS (AP) — Los Angeles Mayor Eric Garcetti is taking his argument on the road, but he doesn't want you to assume he's steering himself toward the White House. LAS VEGAS (AP) — Las Vegas police say O.J. Simpson has formally registered at local police headquarters in accordance with his release from a Nevada prison last weekend after serving nine years for armed robbery. LAS VEGAS (AP) — O.J. Simpson says "nothing has changed" in his life during the nine years he spent behind bars. LAS VEGAS (AP) — Officials at a remote Nevada prison where O.J. Simpson was set free after nine years for armed robbery arranged the former football and Hollywood star's dead-of-night departure to avoid public scrutiny. State Parole and Probation Capt. Shawn Arruti told The Associated Press on Sunday that the former football hero and celebrity criminal defendant has one approved residential plan, and it doesn't currently include a move to Florida or any other state.